Permission provided for use of this SPS-K12 Case Study by Joe Kubina. Mahomet-Seymour Community Unit School District No. 3 is a highly rated, public school district located in Mahomet, IL. It has 3,053 students in grades PK, K-12 across 5 campuses. 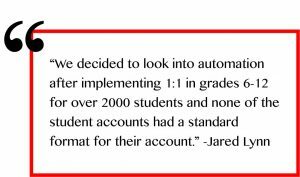 Prior to implementing Student Provisioning Services (SPS) Mahomet-Seymour Community School District was managing student account creation, deletion, grade level promotion, and suspension manually. Accounts were not being created with a standard format which caused many problems. They often forgot to deactivate student accounts upon graduation or other exit events. Staff did not know who to reach out to for account creation because several people “took care” of it. Staff and students were very frustrated with the time it took to get changes through the system, impacting learning time in and out of the classroom, wasting precious time and man hours that should have been focused elsewhere. me or my staff. Now, we do not have to even think about it,” according to Lynn. 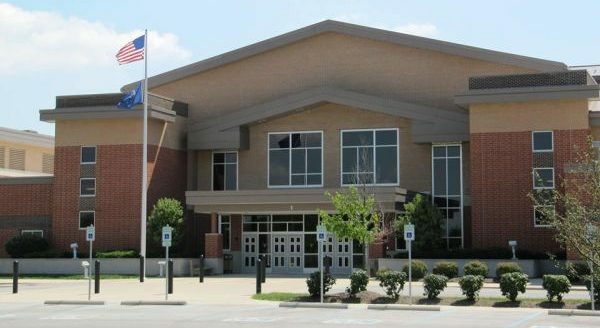 According to Jared Lynn, Mahomet-Seymour Community Schools Director of Technology, Mahomet-Seymour’s IT Department tried to come up with their own solution over several years, but never really made any progress. The impact on staff and students has been profound. One more feature that has made a real day to day difference in their learning community is the Password Reset Portal. Student Provisioning Services, a division of Franklin Computer Services Group, works with learning communities of all sizes to implement a customized, fully automated student account management system which allows you to focus on your mission and your students. We understand the data challenges that schools and software developers face. Our product makes student accounts easy to manage. Our solution is scalable, allowing it to grow along with your district. The SPS solution can be partnered with other applications to expand data management to other areas within school districts such as libraries, transportation, food service, and data storage. To view full flyer, click here.